Snake gourds might be the most distinctive and delicious crop most home gardeners have never heard of. Getting its name from the serpentine growth habit, this long, slender squash is a great choice for gardeners and home chefs who are looking to try something outside the box. For the more mainstream gardener, check out our guide to Identifying the 27 Most Common Vegetable Plants. They’re huge! 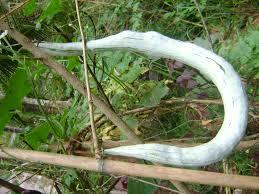 Snake gourds can grow up to six feet (1.5m) long, though if used for food they should be harvested much sooner. They stink! The squash’s white-colored skin has a strong odor. You should probably remove it before cooking. Their flowers are beautiful! 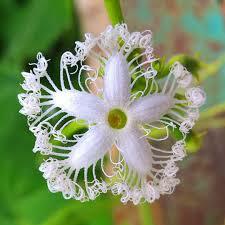 The delicate, white fringed flowers are as fascinating to look at as the eccentric fruit. Originally cultivated in India, snake gourd has seen a recent rise in popularity across the Americas, Europe, and Africa. If you’re looking to get ahead of the curve, here are a few tips and recipes to get you growing, and eating, snake gourd. Like most squash, snake gourd is a summer vegetable and needs warm soil and nighttime temperatures. Using a raised red or mounding your soil above ground level helps raise the soil temperature. And waiting until temperatures stay above 50 degrees F through the night can keep your squash plants healthy and thriving. 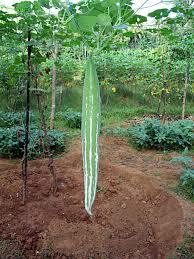 Trellising your snake gourds will give them room to grow long and straight. This style of growing squash also keeps them off the ground, where disease and critters can damage the fruit. Female flowers can be distinguished from males by the small fruits ready to grow in the flower’s center. You can use a male flower to hand pollinate by gently rubbing it on unfertilized females. This tactic provides a huge boost to your potential harvest. If let alone, snake gourds will continue growing up to about six feet. Unfortunately, when they get that large the squash becomes fibrous and inedible. To get a delicious snake gourd, you should harvest when the fruit is about a foot and a half long (up to .5 meters), generally the length of your forearm. Snake gourd is a common ingredient in Indian and Southeast Asian cuisine. After removing the skin and seeds you will be left with delicious and distinct new flavor in your culinary repertoire. 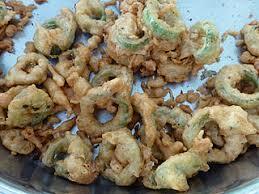 Below are a few great beginning snake gourd recipes to get your cooking juices flowing. Enjoy! And good luck on your long, winding, snake gourd adventures.